The most interesting of our carrot facts is that they were not originally considered very edible because they were too bitter and their cores were too woody. They came in varieties of white, purple, red, and yellow. 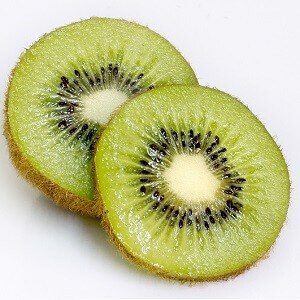 It took over 5,000 years to make them sweeter, less woody and bitter. Orange carrots first appeared in the Netherlands in the 17th century as a result of cross-breeding red carrots with yellow ones. Dutch growers did this in honor of the House of Orange, the country’s current royal line. 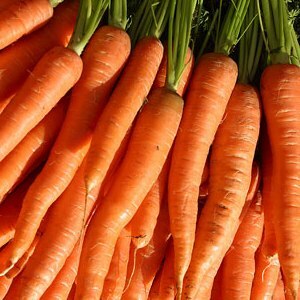 The bright orange color of fresh carrots comes from the large amounts of β-carotene and smaller amounts of α-carotene, γ-carotene, lutein, and zeaxanthin they contain. The last two are pigments which are especially good for the health of our eyes. They reduce our chances of macular degeneration (vision loss), developing cataracts (clouding of the eyes that lead to vision loss), and help improve eye function. They are also rich sources of antioxidants which protect us from diseases like cancer, making them especially good for smokers. It’s not true that carrots help you see better in the dark. The British invented this lie in World War II to protect an important secret – the new invention of radar. Rather than the disks we’re familiar with today, the early radars were towers. The Germans didn’t understand this, which is why they mostly left the towers alone. To explain away their ability to detect oncoming planes at night, the British military told everyone that they ate lots of carrots to help them see in the dark. One of our little-known carrot facts is that they are not indigenous to America, even though the country consumes a lot of them today. They were first brought over by the early British settlers in 1607, and were grown around the first colony of Jamestown in Virginia. Those early colonists didn’t just grow them for food and for trade, however. They also used carrots to keep their tobacco from drying them out by chopping them up and mixing them up with their stash. America used to be the largest producer of carrots in the world because the country was the first to use industrial methods to grow them. But times have changed. China is now the world’s largest producer of this crop, followed by Russia. America is now number three in the list of top producers. Most of the carrots produced in the country are now grown in California, Colorado, and Washington. The vast majority, however, are grown by only two companies in California, but even that is changing because of the state’s prolonged drought. One of the most curious of our carrot facts is that they can’t be planted into soil directly because the seeds are too tiny. Some 2,000 carrot seeds can fit into a teaspoon, resulting in 250,000 seeds per pound. To plant carrot seeds, you have to first wad a bunch of them up into a ball of clay, pour them into strips of paper, or mix them with sand before putting them into the soil. Otherwise, they’ll just blow away. Perhaps the least known of our carrot facts is that they are more nutritious when cooked. Most other vegetables are more nutritious when eaten raw, but carrots have tough cellular walls which lock up their nutrition and make them hard to digest. Cooking dissolves these walls, releasing the nutrition for easier absorption by our bodies. For maximum nutrition, boil or steam carrots before you cut them up. Cutting them before cooking will cause much of their nutritional content to leach out. This is a myth. Carrots contain very little vitamin A, but they do have a lot of β-carotene. What our bodies do is convert that β-carotene into vitamin A in only the amounts that we need and no more. Unfortunately eating too many carrots can indeed cause carotenemia, which turns your skin yellow-orange. The cure is simple, however: stop eating carrots. While some believe that dogs can’t eat carrots, that’s another myth. Unlike chocolates, carrots are perfectly safe for dogs to eat. Most people think that carrot leaves are inedible and tend to throw them away or use them as compost. This is wasteful, however, since they are quite edible. Carrot leaves are used in salads in the Middle East and parts of Southeast Asia. You have to be careful, however, because they do contain some toxic substances. To be safe, be sure to pluck them while they are still very young, and stir fry them in order to destroy the toxins. Though a common vegetable, some people simply cannot tolerate carrots, even in small amounts. In 2010, a pan-European study found that some 3.6% of Europeans who participated in their research were actually allergic to all carrot varieties. Most of these individuals were teenagers, and, while no one is sure why, it’s believed that the actual numbers of those who are allergic might be far higher. Nor is anyone quite sure if this allergy is the result of the fertilizers used, or if it’s because of something in the carrots. Hippocrates, the ancient Greek doctor who is considered to be the father of Western Medicine and the author of the Hippocratic Oath, recommended eating carrot seeds as a form of birth control. Once thought of as a myth, modern research is starting to believe that there may indeed be some truth to his belief. The Greeks also thought that carrots were an aphrodisiac, meaning they believed they made people fall in love. Their word for the carrot was “philtron,” meaning love charm. Perhaps the most exciting of our carrot facts comes from the USDA. It was recently discovered that eating just two carrots a day can reduce a person’s cholesterol levels by up to 20%. This is because carrots have soluble fibers which remove cholesterol from arteries. Think of those fibers as scrubbers which wipe our arteries and remove cholesterol. Be careful, however, because at 41 calories and 10 grams of total carbs per 100 grams, carrots are also heavily packed with sugar. Carrots grow in all shapes and sizes, as well as a variety of colors, tastes, and textures. Most of these varieties, however, grow to no more than an average of 4 to 8 inches long, and 1 to 1½ inches thick. So it might interest you to know that the longest carrot on record measured 16’ 10.5″ long, while the heaviest weighed 19.95 lb. Other, bigger ones may still be out there, since the only thing that stops carrot growth is the available nutrients. Carrots originated as a root herb in Asia, but were originally bitter and came in different colors. They were bred over thousands of years to be more palatable, but it was the Dutch who turned the carrot orange in the 17th century. Though most grow only a few inches long and thick, giant carrots also exist. And though carrots have many health benefits, they should be eaten in moderation. Although most people can eat carrots, some are allergic to all carrot varieties.